When Reyna Grande's father leaves his wife and three children behind in a village in Mexico to make the dangerous trek across the border to the United States, he promises he will soon return from "El Otro Lado" (The Other Side) with enough money to build them a dream house where they can all live together. His promises become harder to believe as months turn into years. When he summons his wife to join him, Reyna and her siblings are deposited in the already overburdened household of their stern, unsmiling grandmother. The three siblings are forced to look out for themselves; in childish games they find a way to forget the pain of abandonment and learn to solve very adult problems. When their mother at last returns, the reunion sets the stage for a dramatic new chapter in Reyna's young life: her own journey to "El Otro Lado" to live with the man who has haunted her imagination for years, her long-absent father. 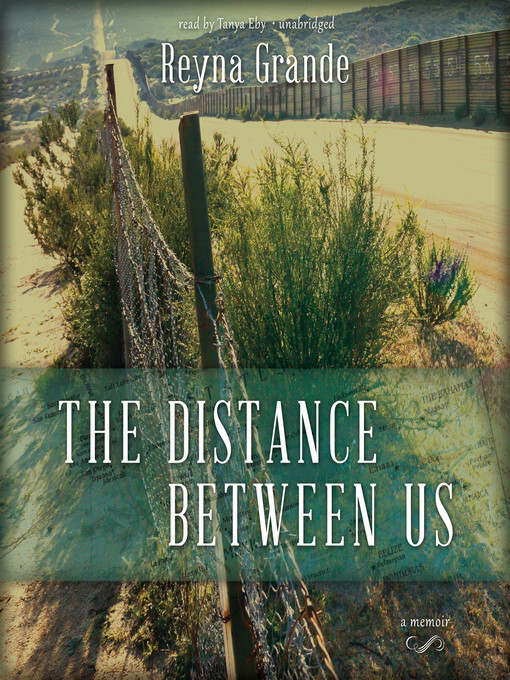 In this extraordinary memoir, award-winning writer Reyna Grande vividly brings to life her tumultuous early years, capturing all the confusion and contradictions of childhood, especially one spent torn between two parents and two countries. Elated when she feels the glow of her father's love and approval, Reyna knows that at any moment he might turn angry or violent. Only in books and music and her rich imaginary life does she find solace, a momentary refuge from a world in which every place feels like "El Otro Lado."